Our view: A good quality chalet in a quiet location in Meribel Village. 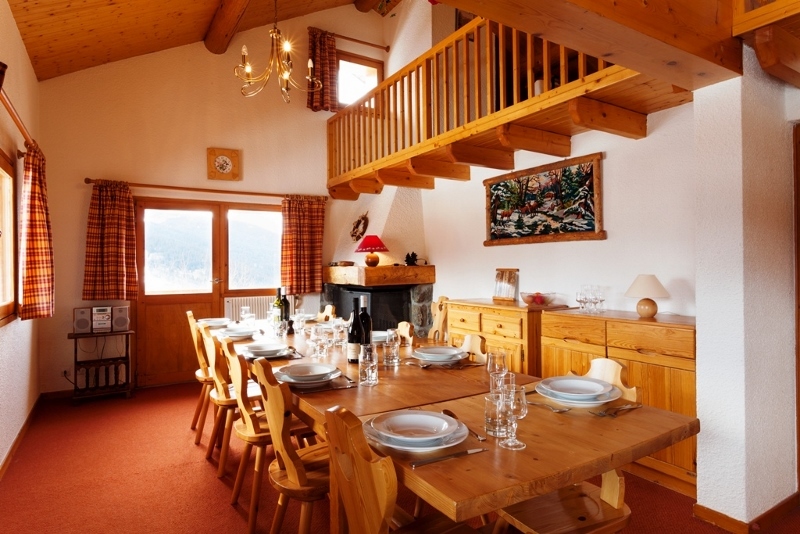 Rosalie 2, in Meribel Village is a fantastic catered chalet for a small group of 8, or a family. With great views over the Meribel valley this is a popular choice. 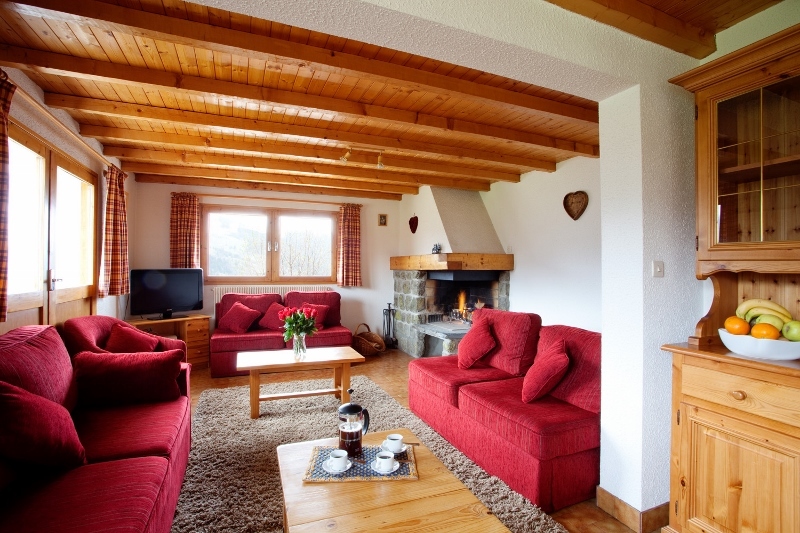 Chalet Rosalie Two is a traditional catered chalet, it's bright, spacious and very comfortable. There is a stone chimney corner fireplace in the open plan lounge and dinning area. 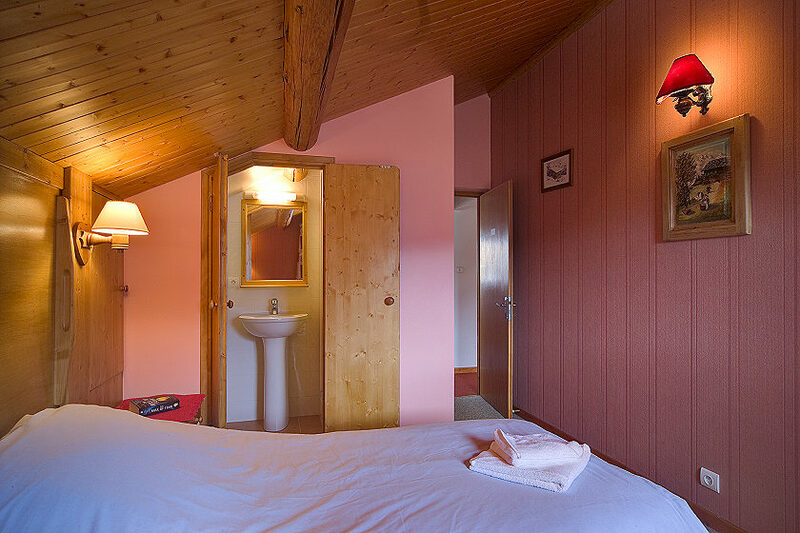 Some of the bedrooms have southerly facing balconies with stunning views over the Meribel Valley. There are two twin bedroom with their own private bathroom facilities and another twin with an en-suite shower, basin & WC. There is also a mezzanine and an additional bed for a seventh person, if required. 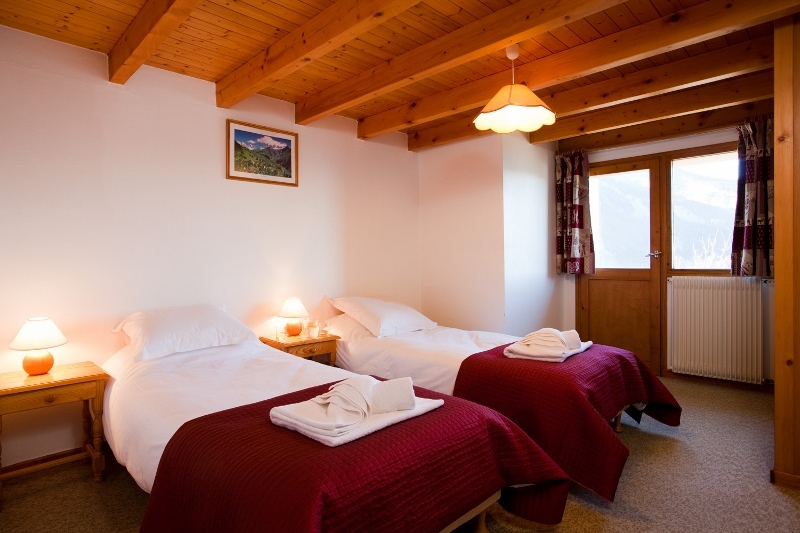 You can book the chalet for a minimum of six people. The chalet shares the boot room and exit with it's neighbor Rosalie One, both are separate chalets and have their own balconies, but for larger groups, the chalets be booked together to accommodate upto 14/15 people. 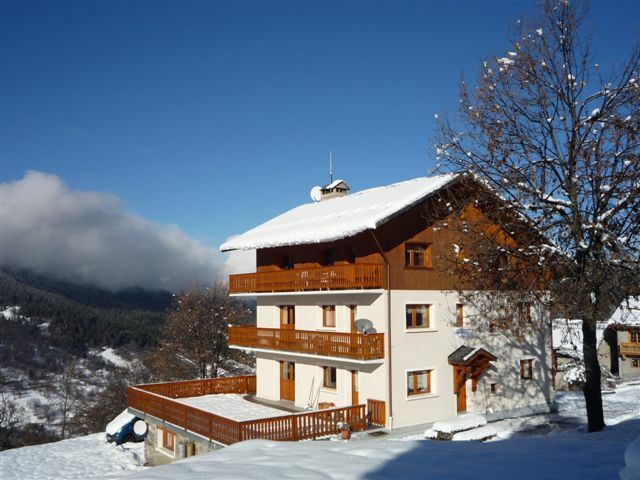 The chalet is in Meribel Village and is situated about 200 metres from the blue 'Lapin' piste and 'Golf' chair lift. Meribel Village is about 2 kms from the main town of Meribel. There is a friendly and lively bar in Meribel Village, The Lodge du Village or LDV, that has a happy hour and some great live music. If that is not enough there is a free resort bus from the Village to the centre if required.